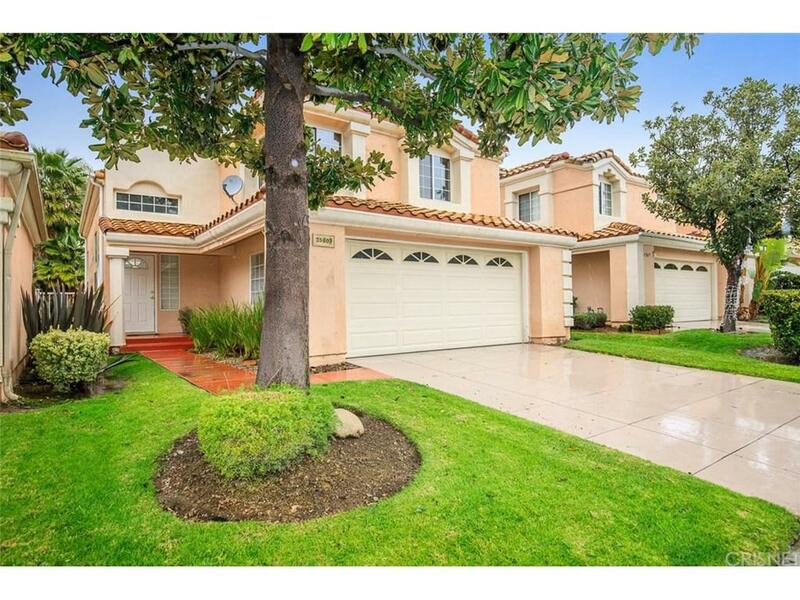 Lovely 3 bedroom and 2.5 bath cul-de-sac home in The Arts community of Stevenson Ranch! This charming home boasts vaulted ceilings, open floor plan with plenty of natural light, two fireplaces, custom mantle, ceiling fans and a spacious backyard with plenty of grass for kids and pets to play! The kitchen is spacious, laundry room adjacent and opens to the cozy family room which makes this an excellent home for entertaining! Both the living room and family room have sliding glass doors which lead to the beautiful, lush back yard! Upstairs you will find upgraded tile flooring, 3 oversized bedrooms and two full baths. This location is superb for residents who commute or desire the finest schools and walkability. Along with the 2 car attached garage and serene cul-de-sac location, this is a home you can add your personal touches and keep in the family for years to come! Close to award winning schools, shops, restaurants and a minute from the 5 freeway! Welcome Home!